Blu-ray was always the better choice. That must be why it eventually won out. 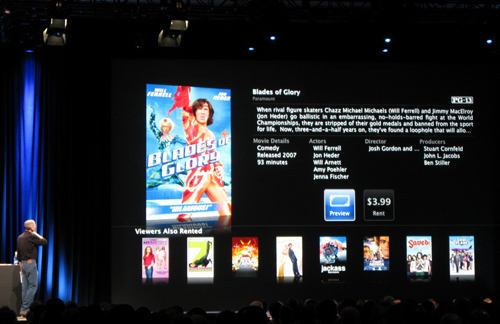 I doubt Apple is going to put a very big dent in Blu-ray Player sales with digital downloads. Not only are Blu-ray players starting to offer digital downloads themselves, but many people often like to collect and build a library of HARD discs as opposed to just a digital file on a tv/computer/player. Picture quality may not matter that much if it's going to be watched on an IPOD or a laptop. Blu ray is extremely stunning, has crisp picture and Sound to match. Video quality is brilliant! To be fair, it's pretty much due to the Blu-Ray quality over HD DVD quality. Enjoy all the beauty of this technology,and you do need a good TV (LCD or Plasma) of at least 32inches to enjoy the movies you are gonna watch! Blu-Ray is definitely an excellent upgrade. I would still stick with the DVD-R format given the fact that Blu-Ray is way too expensive for my budget. I think the time to invest is when you're able to store 1000's of movies. Hi. My theory of evolution is that Darwin was adopted. I am from Vatican and also am speaking English, tell me right I wrote the following sentence: "Miller on tuesday, august no comment." This format war was so much different than the previous one, i can't wait to see if sony made a good choice by investing so much on the ps3 blu-ray. It's great food for though to read this article, can't wait to see what's next on the plate for this format war, that may not be over even if the blu-ray won! Lol @ GK for the skynet reference. Yes - this technology *is* the future, hence why it won't work now. I don't want to rent movies, I haven't from my xbox 360, I'd much prefer to buy them. As for data-clouds and downloading everything when you want it, data clouds are otherwise known as NAS and downloading everything you want will not be a reality for a very long time. (certainly not in the UK at this rate). I'm sitting here with a 128Kbps internet connection, which is a little lower that average for my area but not that far off - I'll let you work out how long it would take a 1080p movie to get from 'skynet' to my 'appleTV'. The idea is good - the support it needs is not available yet. Then again - I'm perfectly happy to have a non-physical library. I prefer it to having to search through piles of DVDs which may or may not have the disks in. Perhaps I'm disorganized and lazy, but having a computer keep track of everything seems a much better option than the cupboard any day. But I'd build myself an HTPC any day before buying this gimmick. I somehow do not think that there can be any competition with Blu-Ray with its wonderfully advanced features. However it is true that HD-DVD is also a really awesome TV. Thanks for the input on blu-ray vs Hd dvd. I agree with most here. 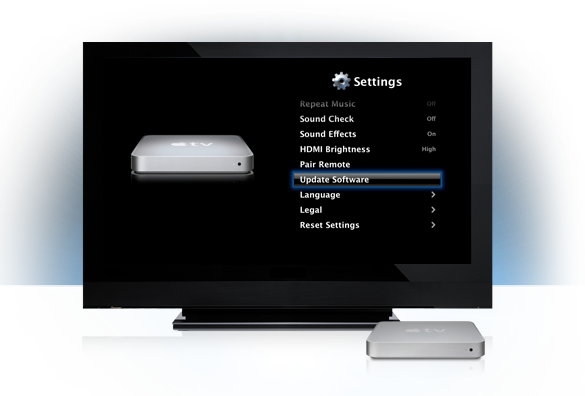 Get a PS3 with a built-in Blu-Ray player! It's way better in my opinion, easy to upgrade the HDD and you can play video games on it. You can also easily stream videos and music from you PC to your PS3. You will be wasting your money if you get an Apple TV. Thank you. Nice posting ! Adoption of next-generation players and media is still low compared with standard-definition fare, though consumer recognition of all things high-definition is growing, which should benefit both sides. According to the Blu-ray team: "Because Blu-ray utilizes a lens with a greater numerical aperture than HD-DVD, the laser spot can be focused with greater precision to fit more data on the same size disc. This allows Blu-ray to hold 25GB per layer (50GB on a dual-layer disc), whereas HD-DVD can only hold 15GB per layer (30GB on a dual-layer disc). Blu-ray has also adopted a higher data transfer rate for video and audio (54Mbps vs 36.55Mbps)." So the war is no-doubt win by Blu-ray Disc.